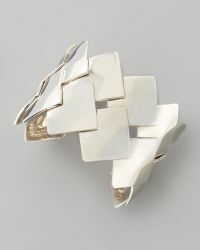 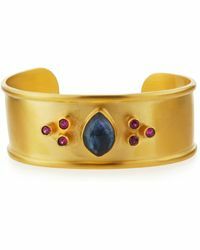 Dina Mackney is a prominent American jewelry designer who launched her eponymous label after graduating from New York's Parsons School of Design. 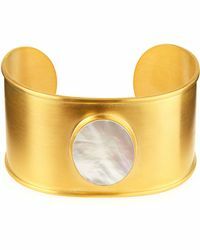 Frequently spotted on top A-list celebrities, her collections are known for their playful, eye-catching take on classic silhouettes, using precious stones and metals to create Dina Mackney bracelets, necklaces, collier necklaces and cocktail rings. 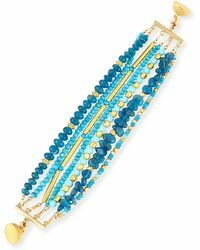 Her pieces make use of 22-karat gold, sterling silver and mother-of-pearl, while introducing unexpected colorways through Australian Prehnite, Mexican Fire Opal and Sleeping Beauty turquoises. 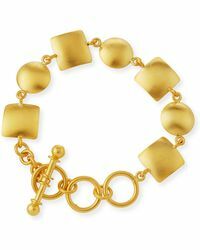 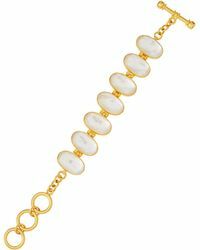 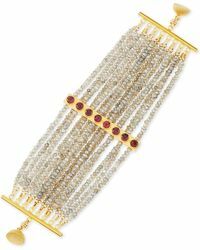 From elegant, delicate crystal-studded bangles to sculptural cuffs in polished gold, Dina Mackney bracelets will lend renewed direction to any formal or casual outfit.